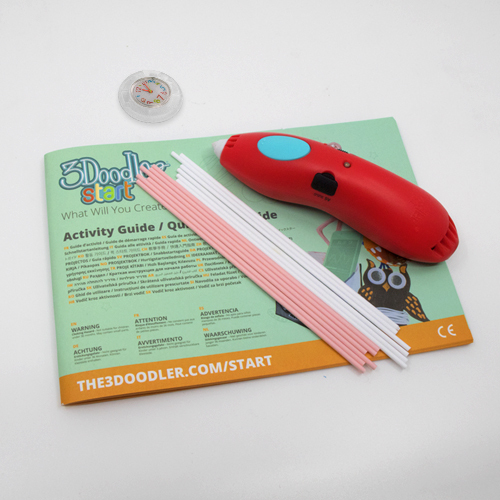 Make your own sassy Flamingo Desk Clock with the 3Doodler Start Product Design Activity Kit. We recommend you watch the full video first, and you can also refer to the step-by-step written instructions below as needed. 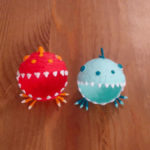 Looking for an easy, family-friendly DIY project? 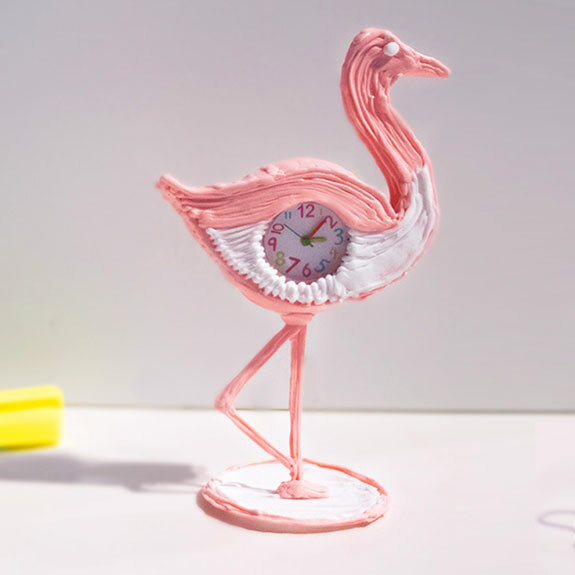 Why not make your own Flamingo Desk Clock to add some flair to your room? 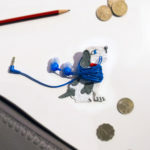 All the materials used in this tutorial are available in the 3Doodler Start Product Design Activity Kitand 3Doodler Start Product Design Pen Set so you can start Doodling right away. Turn to page 32 of the Activity Guide with the Flamingo stencil. Doodle a circle around the Watch and then quickly stick one of the Flamingo bodies onto it before the plastic hardens. 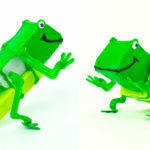 Position the other side of the body to align, then Doodle to join the two bodies together. Doodle to attach the leg and the stand.